Maybe you can wear what you want, maybe everything is fashion nowadays, however for brands, trends are still the core of daily work. Like it or not each season has it own “must have” and “bestseller” which all of us want. Just because all celebrities are wearing it and it’s all over Instagram or Snapchat. 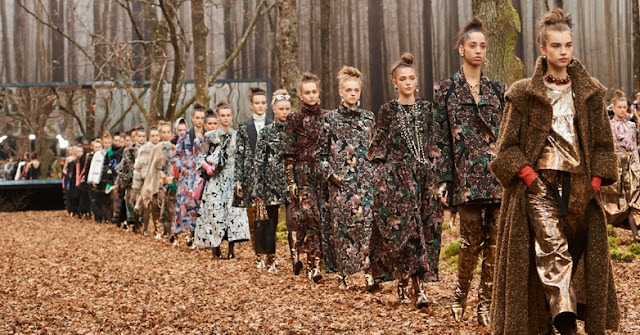 After five weeks, hundreds of shows, thousands of garments, trend analysts are able to define spring trends which connect brands with consumers. Ornately 80s or decadently Renaissance: design teams around the world, reach down your historic reference books. 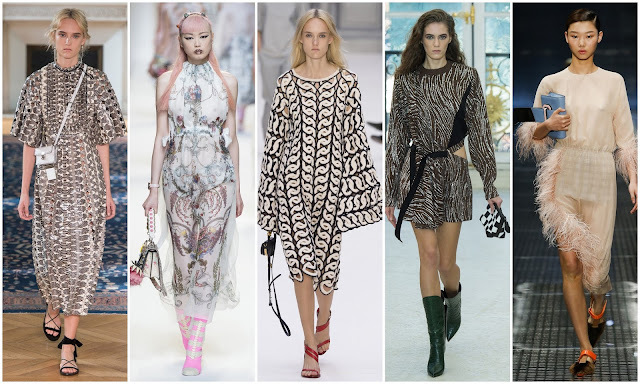 Statement sleeves are the feature of the season, with designers in all four capitals agreeing wholeheartedly. You had a hit with cold-shoulder and Bardot styles in Spring 2016 and a myriad of sleeve shapes burst onto the scene for next season. This feels new, edgy and slightly challenging. Look out for princess sleeves, leg o’ mutton, fluted and structural dolman. Miss this one and you may as well skip the season. 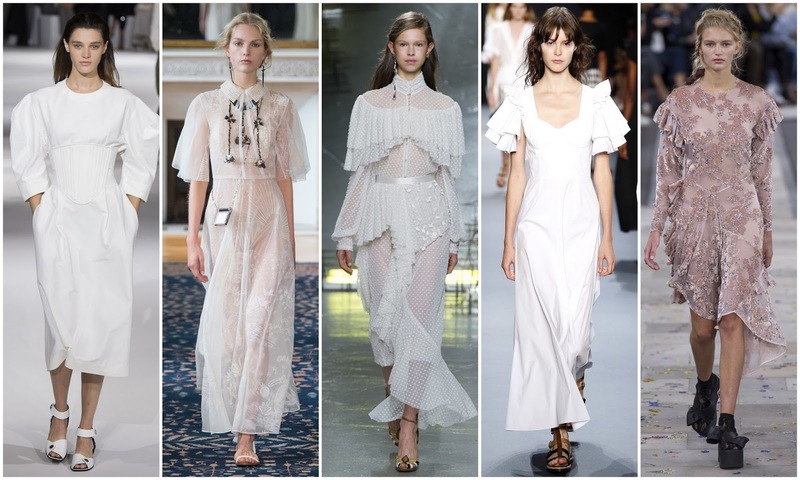 The off-shoulder, single flounce dress was Spring 2016’s occasionwear leader, so what’s next? A whole lot more flounces, that’s what. 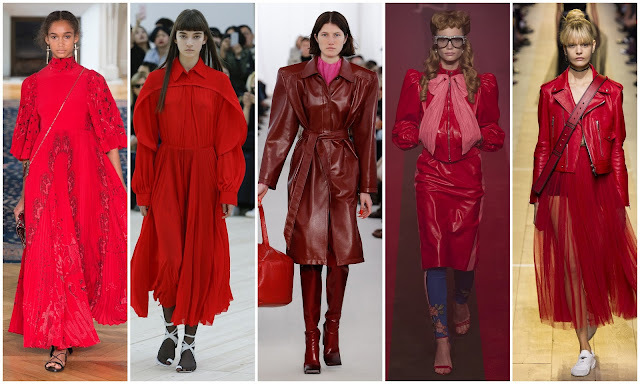 Partially driven by Gucci’s batty-vintage leaning of the last few seasons, these ultra-feminine dresses were seen across each fashion capital. 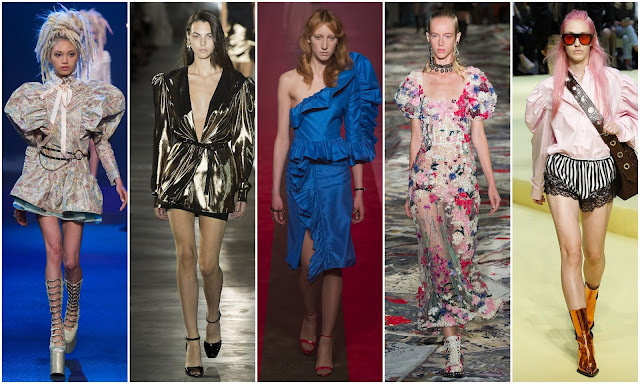 You’ll need a floral print, some frills or ruffles (ideally on sleeves) and sheer fabrics. Extra points for velvet burnout techniques or lacework. This isn’t contemporary, nor is it streamlined. This is a fussy look, but all the more frivolous for it. Denim gets some serious bling for Spring 2017. Move Spring 2016’s florals on with an array of embellishments which range from metalwork, to sequins, embroidered animals and emblems to appliqué patches. The garment silhouette they were shown on stays loose, with wide jeans, oversized boxy jackets and loose dresses. 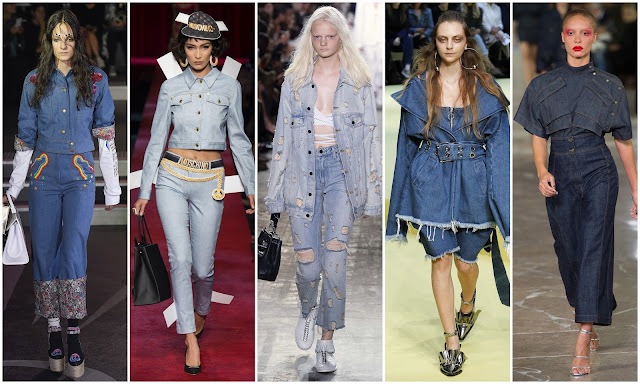 Last summer, it wasn’t jeans that were the most successful style of embroidered denim. Skirts and shorts performed best followed by jackets. Never mind the sliders and the sneakers (I know you’ll have those covered), the tied-up sandal is the new shoe style of the season. Whether it’s slim ribbons or big bows, get your party shoes laced for next summer. Satin bows in jewel tones will work on evening footwear, while espadrille-like calico ribbons are a great option for daytime styles. Those silver shoes aren’t over with either. 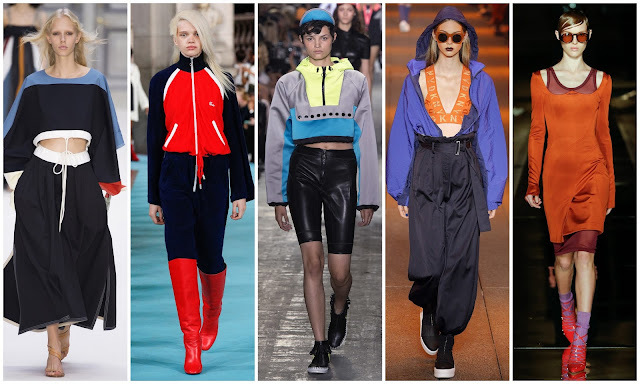 You didn’t think activewear had been relegated out of Spring 2017’s trends did you? The leisurely look is still key and that should be music to your ears, given the sporty lifestyles and functional demands of today. Spring 2017’s addition to your activewear lines should be a tech-y raincoat. In unusual tones (no dog-walking navy or forest green numbers here), baring prints, drawstrings and trailing volume, Spring 2017’s jackets are hyper-useful. Time to bring some high fashion cool to this items. Have some fun with toy-sized bags next season: teeny weeny bags are the ult-luxe statement and a bit of irreverent fun. Trinket-like small leather items were decked out with appliqué, dangled bag charms and ornate chains. 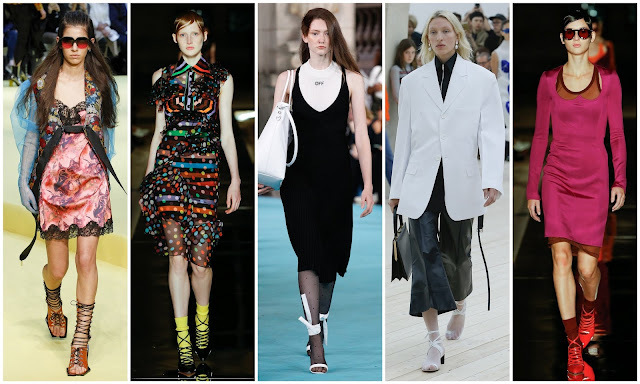 Mini bags by Givenchy, Stella McCartney and Alexander Wang are the most stocked right now, that growth shows this trend is no longer solely the reserve of the luxury market. It’s red for Spring 2017. Collections were heavy on white, as we’ve seen over the last few seasons. No surprise in the return of pale pink either – that’s been selling well. A nice addition is the jolt of magenta. But the big new color story is the vivid red, so often used in head to toe looks. It’s a bit naughty, a bit daring particularly when done in lace or sheers. Give it a try, then.